﻿ Incoloy 800HT Refactory Anchors, Alloy 800HT Refactory Anchors Exporter. 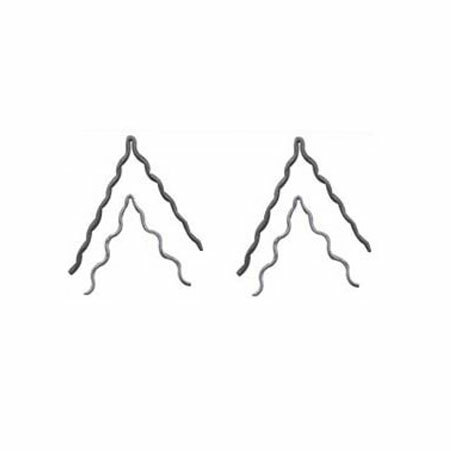 Incoloy 800HT Refactory Anchors Manufacturer, Alloy 800HT Refactory Anchors Supplier, Incoloy 800HT V Anchors, Alloy 800HT Y Anchors Supplier In India. We, at Amco Metals, promote innovation and reliability in our products through continuous efforts. We preserve long-lasting relations with our customers and assist them in choosing suitable products for their industry. We are an ISO 9001: 2015 certified company, committed to constructing and providing customer oriented engagements. We are a manufacturer, trader, stockist, supplier, and exporter of Incoloy 800HT Refractory Anchors. A Refractory Anchor is a metal piece, formed in a particular shape, are used to hold an installed refractory product to the shell of the article being lined, usually a brick or a ceramic fiber lining. Our UNS N08811 Incoloy 800HT Y type Refractory Anchors act as hooks holding light-weight bricks, they are good strength and creep rupture strength at high temperatures. 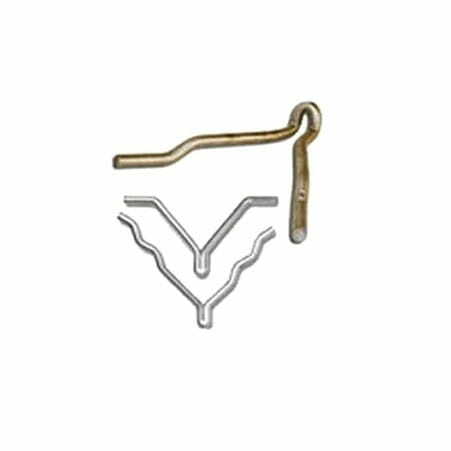 We supply Incoloy 800HT Customised Refractory Anchors that are tailor made in shape and size; these anchors have an unparallel design and durability. We have built a decent portfolio of durable products over the span of 25 years that is economical and sustainable. 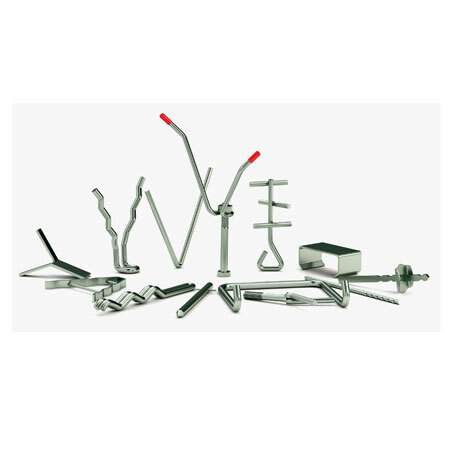 Incoloy 800HT WV Anchors Manufacturer, Alloy 800HT Corrugated Anchors Exporter, Incoloy 800HT UV Anchors Supplier In Worldwide. Jordan, Kenya, Belarus, Trinidad & Tobago,Tunisia, Kuwait, Lithuania, Greece, Poland, Qatar, Puerto Rico, Hong Kong, Italy, Ukraine, Macau, Mexico, Switzerland, Afghanistan, Nepal, Peru, Mongolia, Czech Republic, Thailand, Hungary, Sweden, Spain, Norway, Yemen, Indonesia, Germany, Bhutan, Israel, Azerbaijan, Turkey, Finland, Portugal, United States, Singapore, France, Tibet, Zimbabwe, Bulgaria, Belgium, China, Nigeria, Slovakia, Iran, Ghana, Venezuela, Lebanon, Colombia, Kazakhstan, Gambia, Bahrain, Austria, Argentina, Nigeria, Mexico, Angola, New Zealand, Costa Rica, Vietnam, Chile, Bangladesh, Denmark, Serbia, South Africa, Sri Lanka, Taiwan, Estonia, Brazil, Bolivia, Gabon, Russia, Iran, Poland, Libya, Pakistan, Australia, Egypt, Iraq, Oman, Philippines, Morocco, United Kingdom, Ecuador, India, South Korea, Malaysia, Chile, Croatia, Ireland, Netherlands, Japan, Algeria, United Arab Emirates, Saudi Arabia, Romania, Namibia, Canada. Kanpur, Jaipur, Pune, Colombo, Brisbane, Tehran, Gimhae-si, La Victoria, Jamshedpur, Nashik, Port-of-Spain, Nagpur, Bhopal, Abu Dhabi, Vung Tau, Caracas, Lagos, Chandigarh, Geoje-si, Istanbul, Howrah, Calgary, Al Jubail, Cairo, Kolkata, Los Angeles, Sydney, Jakarta, Riyadh, Sharjah, Ernakulam, Ho Chi Minh City, Kuala Lumpur, Haryana, Singapore, Petaling Jaya, Gurgaon, Edmonton, Chennai, Rajkot, Navi Mumbai, Rio de Janeiro, Melbourne, Jeddah, Lahore, Granada, Dammam, Manama, Courbevoie, New Delhi, Houston, Faridabad, Noida, Atyrau, Surat, Madrid, Ankara, New York, Dallas, Hanoi, Milan, Doha, Dubai, Al Khobar, Montreal, Muscat, Secunderabad, Ahvaz, Hong Kong, Coimbatore, Hyderabad, Mumbai, Baroda, Ludhiana, Ranchi, Indore, Bangkok, Vadodara, Kuwait City, Busan, Mexico City, Perth, Karachi, Thane, Thiruvananthapuram, Seoul, Pimpri-Chinchwad, Ahmedabad, Moscow, Bengaluru, Santiago, London, Algiers, Visakhapatnam, Aberdeen, Toronto, Chiyoda, Ulsan, Bogota.